Little children adore this fantastic twist on the traditional jack in a box, which never fails to have the under twos giggling. Push the soft frog down into the box. Then lift the lid, and he jumps right out into the air! The game of peep-o can be repeated time and time again - and trust us, little ones never tire of seeing him fly! The frog really jumps - sometimes four feet high! The lily pad lid has crinkle petals and different textures to explore and the frog squeaks and rattles, so there's lots to discover, even when Mr frog isn't jumping. 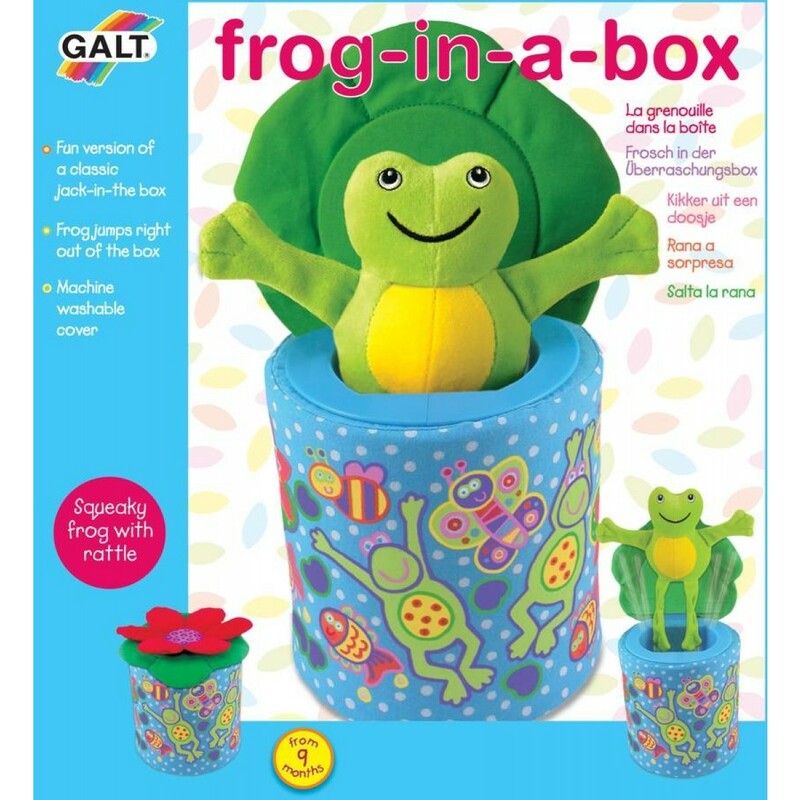 One of James Galt's most popular and long standing toys, the product is both soft and completely safe, with removable, machine washable box and lid covers. All Galt products comply with or exceed current toy safety regulations, and all carry the CE mark and the BS5665 Lion Mark.